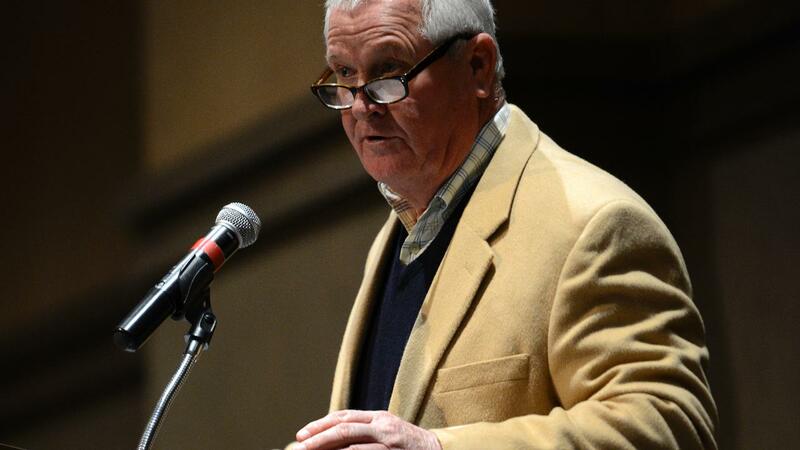 More than 200 fans gathered January 11, to hear Colorado Rockies Scout Rick Mathews speak, as the Burlington Bees held their 16th Annual Friend's of Community Field Winter Banquet. Attendees purchased 51 items in both silent and bid auctions. Brian Hopkins served as auctioneer. Among the items sold was a package provided by the Bees big league affiliate Los Angeles Angels. It included round trip airfare for two from Moline to Los Angeles, tickets to two Angels' games and a three night hotel stay. Also popular was TriOak Foods donation of 4 tickets to the NASCAR weekend event at Kansas City Speedway. A signed Brett Hull Blackhawks jersey and a dozen signed pieces from baseball hall of famers were taken. The banquet serves as the Bees main fund raiser. It is used to defer costs of operations at Community Field. This year's event raised more than $20,000.